During the Iraq war, four women, three Lebanese and one Algerian, risked their lives on the front lines to report, hour by hour, the latest news on the war to television viewers and newspaper readers all over the world. Hour after hour, they bore witness to the gruesome reality of war. On their return from the war, the three Lebanese women were honored by their country’s Prime Minister Rafik Hariri as well as television networks like Future TV, for which they worked. The four women were pioneers in reporting the war and have crossed an invisible line for Arab women in a field mostly dominated by men. In an interview with Hia, a sister publication of Arab News, the four women talked about their experiences during the war. 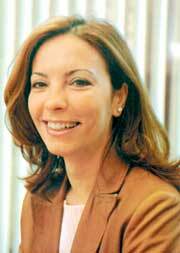 Nadia Mahdeed until the end of the war worked for Asharq Al-Awsat, another sister publication of Arab News. Despite the difficulties she faced, she returned more determined than ever to cover the crisis areas of the world. She does not mind being called a war correspondent, even though that specialty is non-existent in Arabic newspapers. Nadia was the first female journalist to cover the tension in Algeria in the seventies. She said the Iraqi authorities refused to giver her a visa to enter the country despite approving American journalists. “American journalists were even transmitting from the roof of the ministry of information,” she said. That really angered her, because she says Arab journalists are more committed when it comes to reporting events that affect the Arab world. Najwa had visited Baghdad before the war and explored the capital. Bit when she went back for the war, it was the first time she had reported anything so serious at such close range — during the war in Afghanistan, she was filing from a safe distance across the border. Najwa did not tell her family of her plans to go to Iraq until a week before the departure. “The situation was tense from the day I arrived in Baghdad,” she said, and she coordinated with the Ministry of Information to ease her mission, and stayed with fellow journalists in the Palestine hotel for security reasons. Sometimes she felt in danger, but she was not afraid and says she knew beforehand what she was letting herself in for. “But what shocked me was that so many journalists died in such a short period — 12 in three weeks,” she said. Perhaps the most difficult time was her last week, when increasing restrictions were imposed on journalists, making their movement in the capital very dangerous. Also, jamming of broadcasts increased and there was less access to information. Najwa said that when she returned to Lebanon she did not realize just how many people were following her news reports, which gave her a boost and encouraged her to pursue her career in reporting. Despite her experience in covering the war in Afghanistan, Najat said she thought long and hard because before agreeing to report the war from Kuwait. Despite her family’s fears, she agreed to go for 30 days. She did not risk going to hazardous areas, especially since she was responsible for the lives of two others staff members who joined her on the trip. She spoke to the newsroom in Beirut before taking any major step, such as leaving Kuwait to enter Umm Qasr and Safwan in Iraq. When she arrived in Safwan, angry Iraqis started to gather around her, who did not want their situation to be shown on television stations. When she refused to budge, she received death threats. Before the war started in Iraq, Diana filmed a program called “The Naked Eye” about northern Iraq, its nature and politics, so she was a natural choice when the war started. Her mission was not easy. She was the only reporter in that area and she was required to file a report every day. Due to the large geographical area she had to cover, and because the television station did not provide her with a reception dish, she had to travel great distances daily to file her reports with the coordination of other news agencies. Aril, the area where she was staying, was a strategic location for media coverage because it was held by the Kurds. Diana recalls seeing the injured, wounded children in particular, and people fleeing their homes. Diana said was deeply affected by reporting the war and became emotionally involved in the lives of the people she reported on. “I know that I witnessed history in the making,” she said.